Good morning sweeties, I came back from my little East Germany trip to Leipzig and Dresden yesterday. I had heard that the cities in the East are beautiful and I have to say, people really did not exaggerate. Those cities are gems. 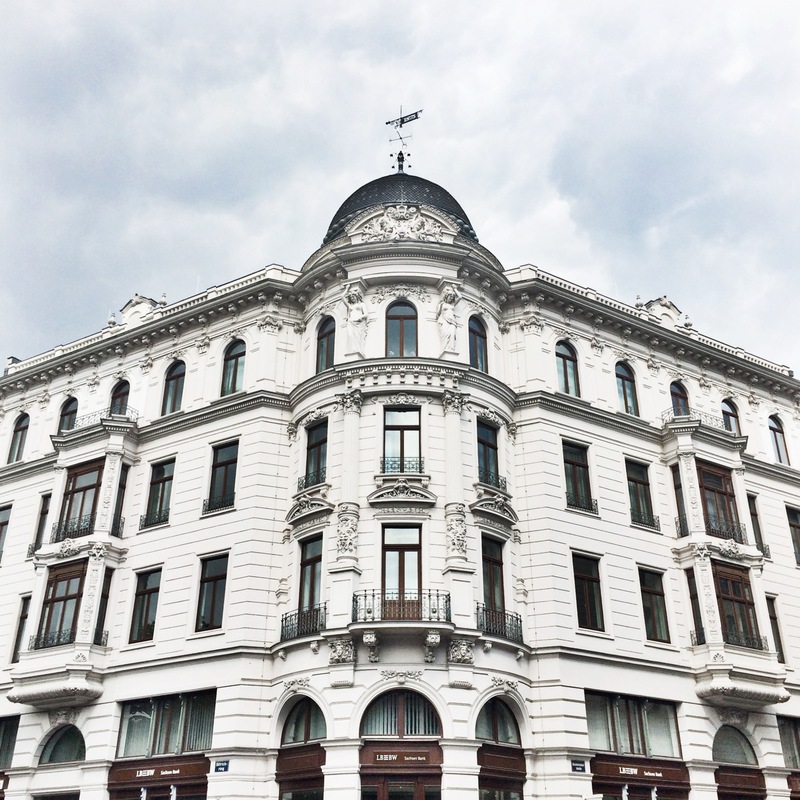 Leipzig is said to be little Berlin with trendy boroughs, bars, cafés and clubs. Architecture at the same time is beautiful with decorated buildings from around 1900, plus there is lots of green in and around the city. Everywhere you look there is something beautiful to discover. The city seems quite multicultural and I as well felt at home right away. Dresden is maybe a little less hip but in exchange very impressive. Oldtown is laced with huge baroque and neo-classical buildings like the Zwinger, the Frauenkirche or the Semperoper. Unfortunately we only had one day in Dresden. I definitely need to come back and visit some of the museums that for example show paintings from the renaissance as well as Flemish artists. 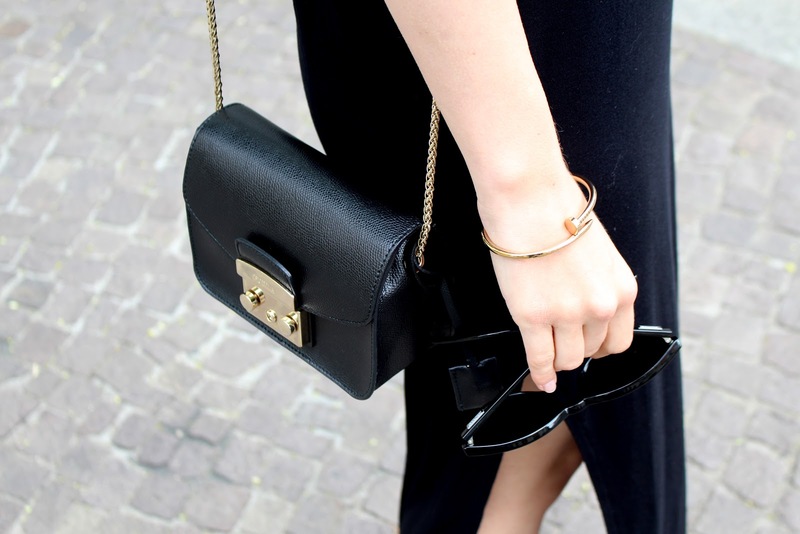 For a stroll through Leipzig I wore a loose maxi t-shirt dress and sliders - all in black. A very easy and comfy look for warm days in the city.